Published: April 30, 2010 at 02:57 p.m.
All eyes were on Dez Bryant during the Dallas Cowboys' rookie practice Friday. With a considerable amount of media in attendance, Bryant passed his first test with flying colors. 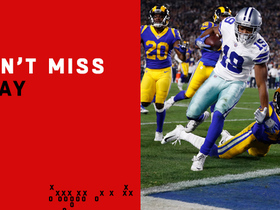 The former Oklahoma State wide receiver capped a good performance with one particularly eye-opening catch. 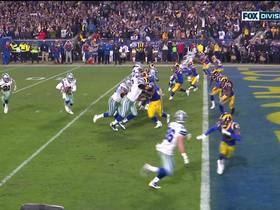 It was the kind of grab that will be played on Dallas-area television stations all weekend. Bryant ran a deep route in which he stutter-stepped the cornerback down the sideline, then came free. 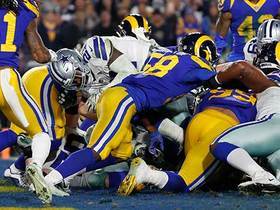 After the 50-yard pass, which fluttered wildly in the wind, finally landed, Bryant turned around twice and came down with the ball in spectacular fashion. 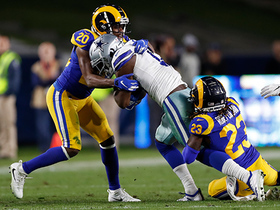 The play elicited a few fist bumps from Cowboys owner Jerry Jones and his family, and Bryant showcased his outstanding talent throughout the session. But that doesn't mean there isn't plenty to work on for Bryant. His conditioning was noticeably lacking, as was the case with many players in attendance. Bryant must get in better shape to keep up with the fast pace of pro workouts. Among the other rookies who stood out at the practice, which started at 11:30 a.m. ET, were Toledo safety Barry Church, California offensive tackle Mike Tepper and New Hampshire tight end Scott Sicko, all of whom went undrafted. Church excelled in drills, and Tepper looked like he had really good pop in offensive-line drills. Sicko displayed good hands in catching drills. All in all, it was a good first practice for the 27 rookies and seven practice-squad members in attendance.